Hundreds of applications have gone through you. 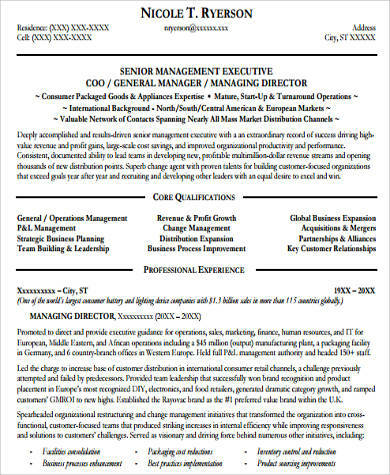 But as an executive looking for another leadership position, you now find yourself having to write a resume yet again. The discussion on how to write the most effective executive resume is fraught with horror stories of mishaps made by the very people who are critical of them. While you are brimming with the achievements and experience that every resume just wishes to showcase, you are not spared from making unflattering mistakes. 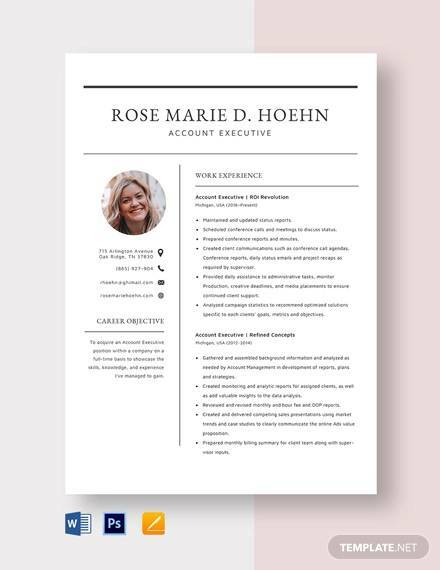 As with any resume for any application like in these Sample Resumes, you are selling what you have to offer—your skills and your years of experience. 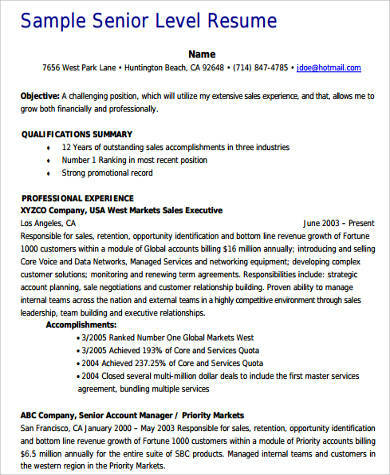 Your resume is the sales pitch, which could make or break your entire application. At a higher, executive level, however, it even becomes more crucial to deliver your pitch effectively. 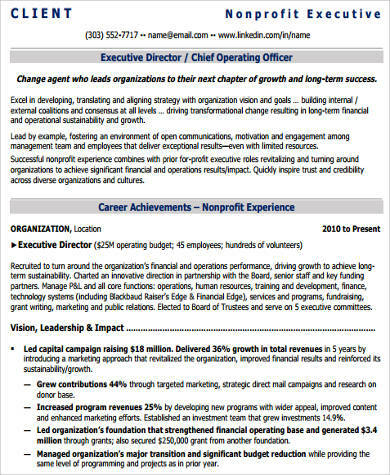 At top management positions with enough financial and career stability, it does not seem reasonable that executives still transfer jobs. But it does happen, and it happens a lot. Executives could be gunning for better positions, and they could be looking to improve their experiences even more. Opportunities to meet these goals may be found outside of the companies that they are already in. Also, executives hold established, well-noted positions. Their track record is often public knowledge, making headlines in newspapers and magazines. They could have been recommended to set their sights for positions elsewhere, or have been simply approached by other companies with their offers. 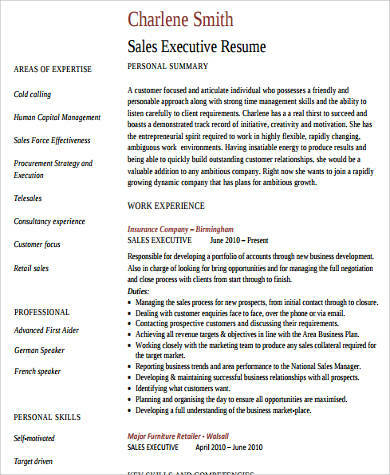 Of the three standard types of resume, the chronological format is the most favored. 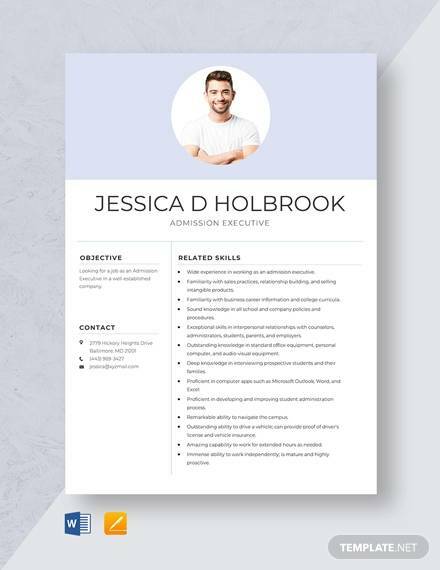 The chronological resume focuses on your work history, and it lists all the positions you have held in order from the most recent down to the very first. 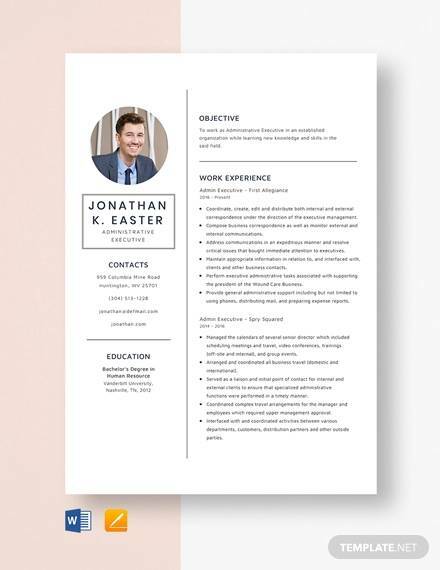 With your years of experience as an executive, you may think that you too should tap into the hype of the chronological resume, and if anything, chronological resumes were made for you and what you have to offer. However, this may be insufficient. A tunnel vision into your work history does not really allow you to demonstrate your skills and your qualifications. Vice versa, using the functional resume, which now should highlight your skills and qualifications, completely takes you away from presenting your extensive experience. Explain exhaustively. 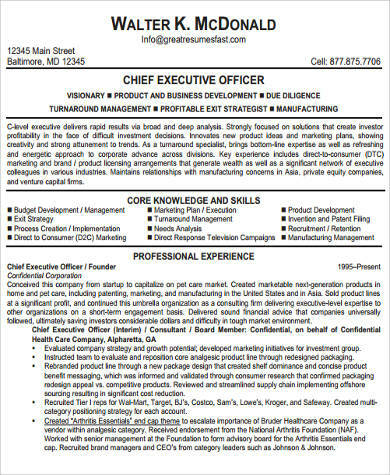 Be detailed with your skills, experiences, and qualifications. Consider writing a professional summary. 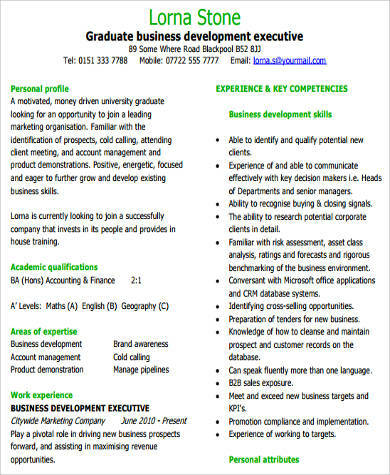 As with any resume, this should demonstrate why your qualifications are suited to the position you are eying. With what you have to offer, there is no way that a professional summary could be a waste of space. Feel limited. 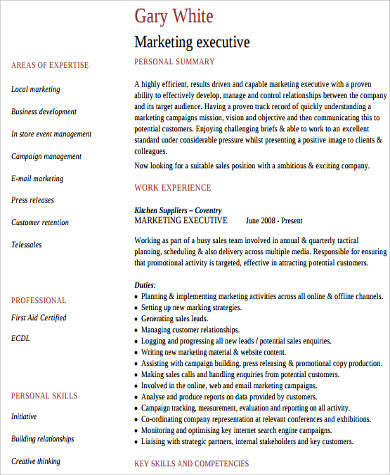 Resumes that go over two pages are frowned upon in the world of employment. But your armory of qualifications is an exception to this rule. 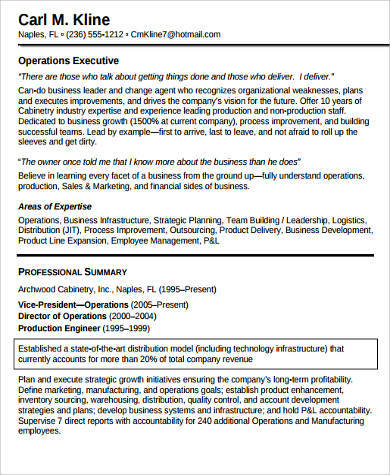 For reference, see this Sample Executive Resume. Working closely with executives are their assistants whose duties revolve around supporting and making their bosses’ workloads much easier. 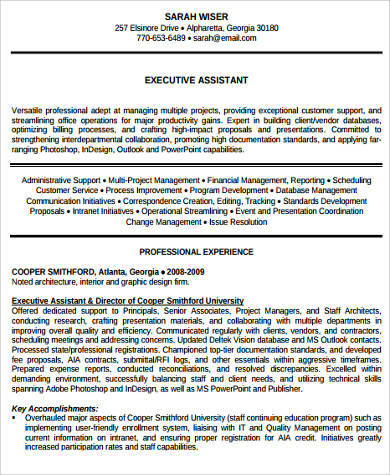 For information on this position, see Sample Executive Assistant Resumes.